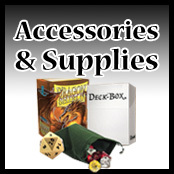 Battleground Games Online – Now Offering Accessories! Battleground Games & Hobbies is proud to announce that we are now offering a full line of gaming accessories online for purchase! Have your favorite brand name deck box, sleeves and more shipped directly to your home of pick them up at your local Battleground Games & Hobbies retail store. In addition, we plan to continually build and expand upon the accessories we offer, including all the top brands: Ultra Pro, Dragon Shield, KMC and more! Click here and check out our stuff! So what are you waiting for? Check out what we’ve got and order today! SEALED PRODUCT NOW AVAILABLE FOR PRE-ORDER! In case you missed it, earlier this month during Pro Tour Magic 2015, Wizards of the Coast – publishers of the popular card game Magic the Gathering – released the schedule of their 2014-2015 Premier Organized Play schedule, which includes the Magic the Gathering Pro Tour and Grand Prix events. However, this announcement caused quite a stir when it was relvealed that the format for each of the Pro Tour events next year would include only the “Standard Constructed” and “Booster Draft” formats. Well, Wizards of the Coast must be listening to their passionate fan base. Last night, Director of Organized Play Helen Bergeot released a statement that the increasingly popular “Modern Constructed” format would indeed be showcased at the Magic the Gathering Pro Tour in 2015, as well as the addition of changing Grand Prix Vancouver to Modern as well. “During Pro Tour Magic 2015, on August 2, we announced the schedule, locations, and formats for the 2015 Pro Tours. The Constructed format for all Pro Tours in that announcement was Standard. Since then, we have received comments and concerns from the Magic community regarding this announcement, and the omission of Modern from the 2015 Pro Tour schedule. After evaluating all feedback and after further discussion, we have decided to add Modern to the 2015 Pro Tour schedule. The Pro Tour in Washington D.C., which will take place from February 6–8 in 2015, will feature Modern Constructed and Booster Draft as the tournament’s formats. This is a change from the previous schedule announcement of Standard and Booster Draft. In addition, the format for Grand Prix Vancouver, taking place February 21–22 in 2015, will be changed from Limited to Modern. In order to address the community’s questions regarding this change and other changes related to the direction of Magic, its formats, and Organized Play, we will also be hosting a CoverItLive chat session on Tuesday, August 26, where Director of Global Brand Marketing Mark Purvis, Senior Director of R&D Aaron Forsythe, and I will answer the community’s questions. We will have more details—including the time for when this CoverItLive chat session will take place—later this month. As always, we appreciate the feedback that you have provided us regarding recent announcements, and we will address the community’s questions accordingly. What do you think of this change? Is this a good idea? Are you excited that the Pro Tour’s next year will have some format variety? Please let us know is the comments below! 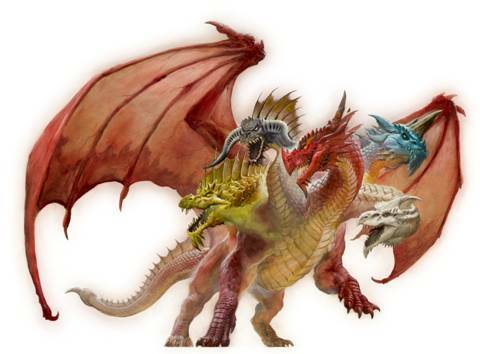 Wizards of the Coast announced last week the highly anticipated product line-up for the Dungeons & Dragons Tyranny of Dragons campaign, ushering in a pivotal year for the popular role-playing game brand. The entertainment offerings include the D&D Player’s Handbook, Monster Manual and Dungeon Master’s Guide that bring the campaign storyline to life for tabletop RPG gamers, as well as digital offerings led by a new module for the Neverwinter MMO. 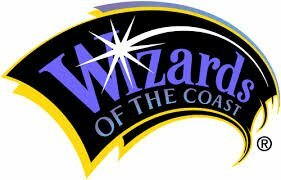 To celebrate 40 years of entertaining players and to coincide with the Tyranny of Dragons product line-up, Wizards of the Coast has also unveiled a new logo for the brand. The redesign includes a larger ampersand that is clearly a fire-breathing dragon, conveying an element of danger with its sharp edges and barbs on his tale and evoking some of the main elements that D&D stands for, including adventures and fearsome monsters. First out of the gate for Tyranny of Dragons digital offerings will be a new module for the highly-acclaimed Dungeons & Dragons MMO, Neverwinter, from Cryptic Studios and Perfect World Entertainment. The new module, aptly titled Tyranny of Dragons, will be the premier digital Dungeons & Dragons experience for players and will launch on August 14, 2014. For players eager to sink their teeth into the Tyranny of Dragons storyline around the gaming table, two new tabletop adventures will also release this year. Hoard of the Dragon Queen (August 19) and The Rise of Tiamat (October 21) will take players into the depths of the dragon’s lair, pitting them against Tiamat, the most fearsome dragon in D&D’s history. In addition, Wizards has partnered with WizKids to produce a new line of D&D miniatures (see “WizKids Releases Details for ‘D&D Fantasy’ Miniatures“) that fans can use in conjunction with their Tyranny of Dragons adventures, as well as complement their tabletop RPG experience brought forth by the new rules set. With these new minis, players can expect high-quality, pre-painted plastic miniatures featuring iconic heroes and villains straight from the Forgotten Realms. For the full Tyranny of Dragons story overview and product line-up, including PC and mobile games, tabletop roleplaying adventures, digital tools, collectible miniatures, comics, apparel and more visit DungeonsandDragons.com and stay tuned for more Tyranny of Dragons offerings and release dates to be announced in the coming months. Best of all, Battleground Games & Hobbies will have a full line of Dungeons & Dragons Tyranny of Dragons products in stock as soon as it becomes available! Press release and information courtesy of Alfred Cloutier. 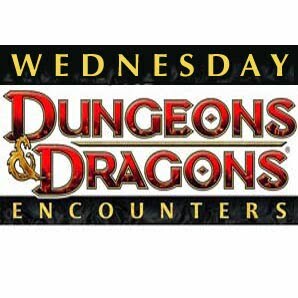 Please be sure to join us at your local Battleground Games & Hobbies each and every Wednesday night for D&D Encounters; a night not to be missed! A couple of days ago, Wizards of the Coast – publishers of the famous card game Magic the Gathering – published a press released on their website detailing a lawsuit the company filed in United States District Court for the Western District of Washington [State] alleging copyright infringement on behalf of Cryptozoic Entertainment and Hex Entertainment. You can read the press release below, in it’s entirety. What do you think? Have you played Hex? Is it, as the press release alleges, a Magic the Gathering clone? Let us know in the comments below! “May 14, 2014 (Renton, WA) – Today Wizards of the Coast LLC, a subsidiary of Hasbro, Inc. (NASDAQ: HAS), filed a lawsuit in the United States District Court for the Western District of Washington against Cryptozoic Entertainment, LLC and its alter ego, Hex Entertainment, LLC (collectively, “Cryptozoic”), for willful infringement of intellectual property rights. 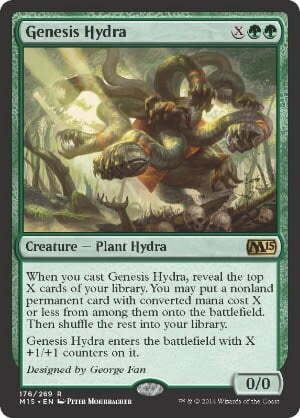 Magic: The Gathering is the world’s best strategy game with more than 20 million players and fans worldwide. Through a unique blend of digital game play and face-to-face play opportunities in more than 6,000 hobby game stores around the world, Magic offers a robust gaming experience for its global community of passionate fans. For more information, visit magicthegathering.com. Wizards of the Coast has announced that the set will feature fourteen cards from some of the world’s most renowned game developers! The Magic 2015 – Core Set releases July 18, 2014. Press release courtesy of Alfred Cloutier.